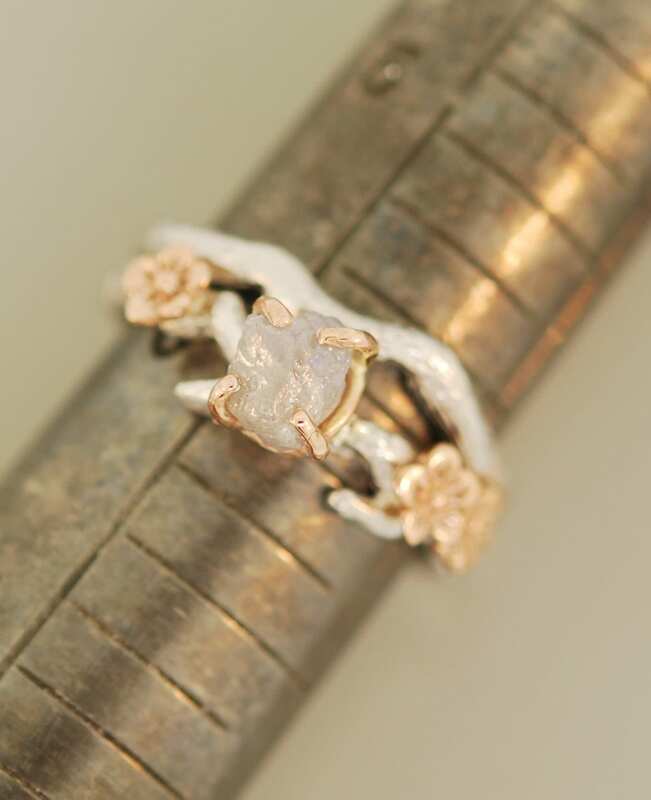 Beautiful cherry blossoms and a rough natural diamond are made of 14 karat rose gold to compliment the branch they rest on. 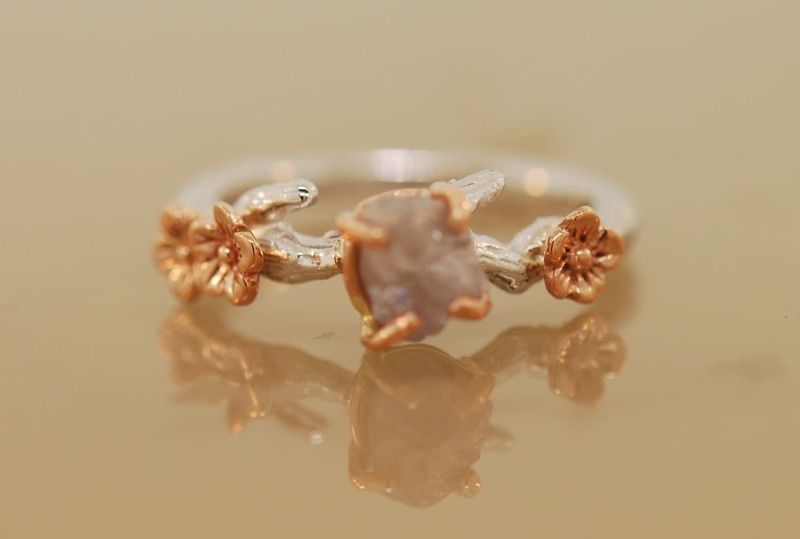 This ring makes a unique alternative engagement ring. So nice for the nature loving types. 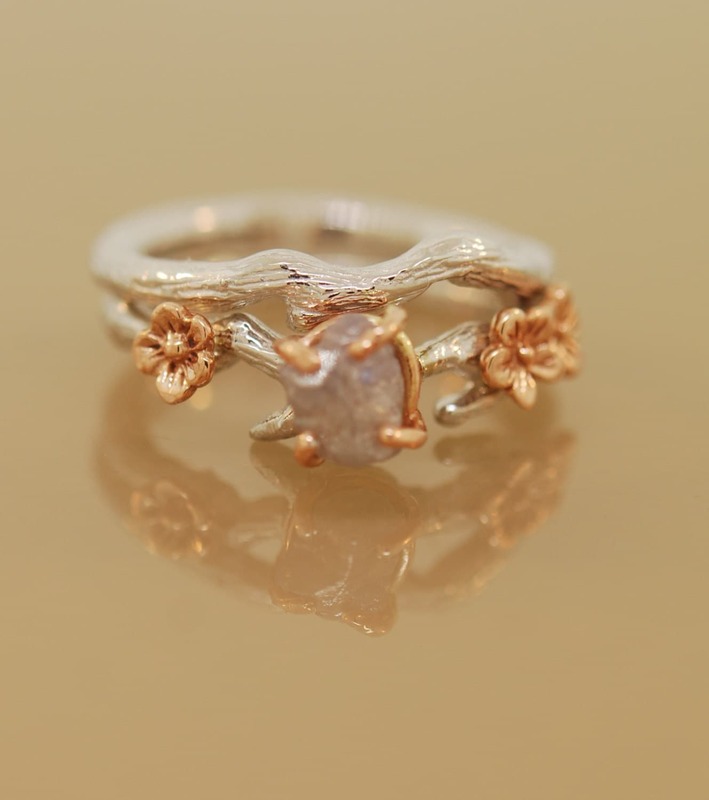 From this listing you can purchase the ring with a sterling band or a 14 karat white gold band. The diamond is around 1 carat. 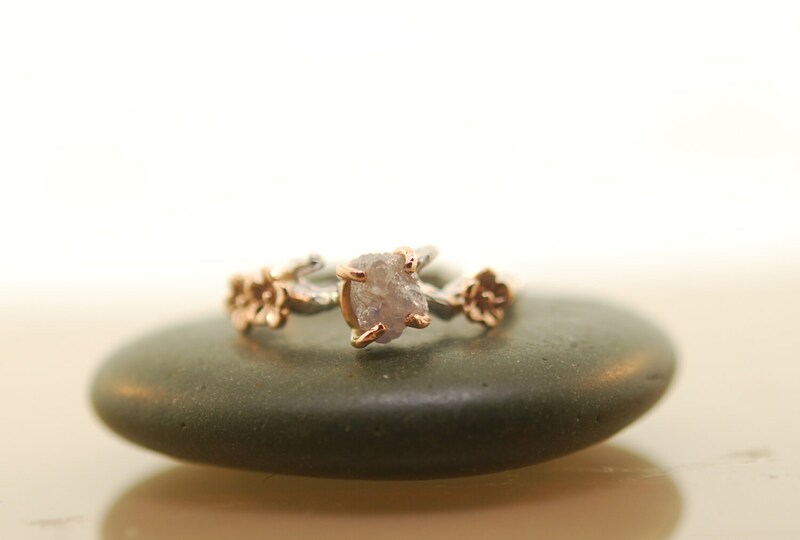 This listing is for the engagement ring, yo.u will get one ring with the natural rough diamond. 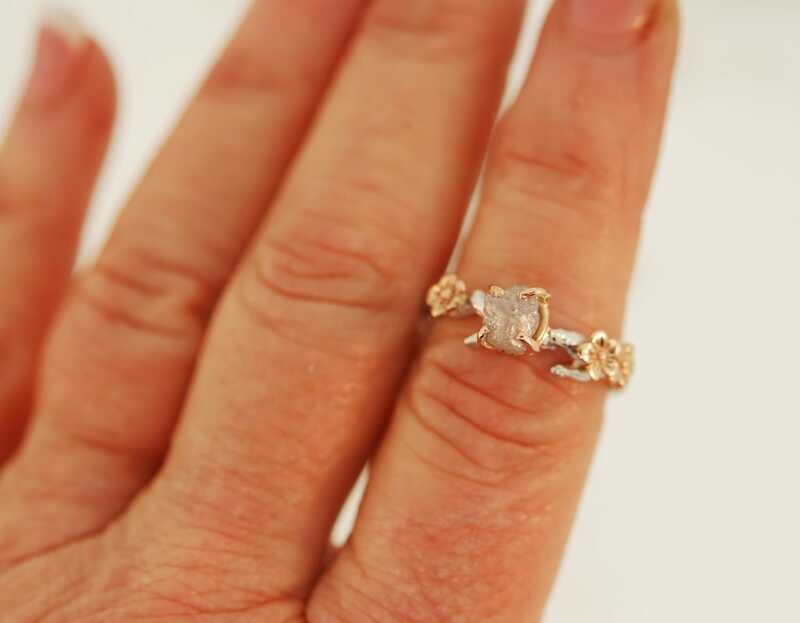 Each raw diamond is different and you will receive one in the same quality as in the photos I have also shown it with a coordinating band that is also available for purchase. If you wish to purchase the coordinating band here is a link for the listing. Please email me as I can do different combinations for you. I can change the stone, or the metal type.